About 2 years ago, I wondered why anyone would use chia seeds for anything. I was anti-chia because of the name. I know that sounds terrible – being prejudiced against something because it has a funny name – but like many things we have to get used to (Barack Hussein Obama anyone?) it is best we put aside our superficial judgments and give new things a try. One tablespoon of chia seeds has more calcium than a glass of milk, more Omega-3s than Salmon, and more antioxidants than blueberries. I decided to try chocolate pudding because who doesn’t like pudding? Chia seeds are great as a thickening agent so you don’t have to cook the milk to get the right pudding consistency. 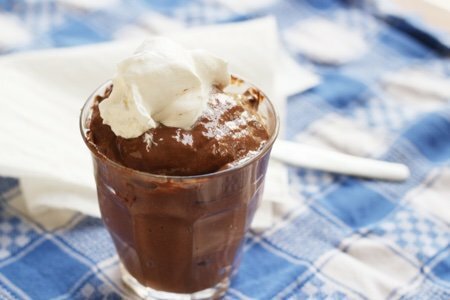 It is rare to find a tasty pudding that is high in calcium, iron, fiber, manganese, magnesium, selenium, and vitamin B6. Since I have started eating chia seeds, I read a wonderful book about running, Born to Run: A Hidden Tribe, Superathletes, and the Greatest Race the World Has Never Seen by Christopher McDougall (see below). In it, the Tarahumara Indians run 100’s of miles fueled on chia seeds (as well as corn and other foods). I also love to use chia seeds in my overnight oatmeal with chia seeds as it makes the mixture thick and creamy. You can find chia seeds in the natural foods section of your grocery store and they are not cheap - a small bag set me back $7. Any seed product is high in price because they are so hard to harvest. Think about them as an investment in your health. Like my pumpkin angel food cake recipe this only has a couple of ingredients. Have you tried chia seeds? What do you use them in? I know you were just trying to be funny with the Obama comment, but if you did have any followers with "brown" names, you probably just made them feel like they are in the "other/not one of us" category and that they are not a part of the community you are trying to build. Yes (Clif Bar ''Berry Pomegranate Chia''). Not too clever with the "Obama " comment . I agree. @Heather and @Hema - I was trying to be funny so I am sorry it didn't work for you. The greater context here is that Barack Obama has talked about how improbable it was that someone named "Barack Hussein Obama" could become president. I agree he is not the "other" and never has been. But, you cannot deny that his name is different than the presidents that have come before him. I am simply talking about names or words and how they describe people or things. It is so difficult in a blog for you to hear me. I cannot possibly anticipate all the different ways in which I will be interpreted. I am deeply committed to inclusion as I believe my blog usually reflects. These comments only make me better because they help me see how to better explain my point of view. I soak a tablespoon of chia seeds at night with oatmeal. Breakfast is almost ready when I am ready in morning. They are very filling. I found a canister in Sam's for about $8.00. Thanks for another useful and (especially) tasty way to use chia seeds! Maybe now I can get my husband to consume them! ;-) Also thanks for mentioning the book. It sounds really interesting! @ Frank - I apologize. If you have suggestions for how I could have made my point better I will listen. I prefer to use chia gel in smoothies, oatmeal, baking. The seeds can absorb something like 30x their weight in water, which tends to make my recipes too thick or dry. I add 3 T of seeds to 1 c water and store in the fridge. Keeps well for 10d. I add 1/4 c of the gel to smoothies and oatmeal and replace some of the liquid in baked goods with the gel. I think baking the seeds destroys the omega-3s, so it's better to eat them raw. I need to try this! Thank you! And you Obama comment, it was funny, don't worry, lol. People nowadays are way too sensitive! Love you're recipes. Keep doing what you do. Yum! Can't wait to try this. Thanks, Lisa, for another great idea. @snack girl - thanks for taking the time to write a response. I put a tablespoon of chia seeds in my protein shake everyday. It adds 3 grams of protein as well as fiber and omega 3's. I buy mine at Sprouts in the bulk food section. They are on sale pretty regularly and then I stock up. 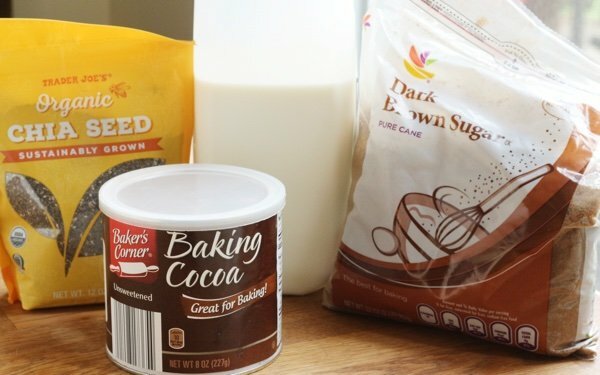 I am excited to try the pudding recipe, could you just add them to instant pudding mix as well or would it make it too thick? Just curious. Can't wait to try this recipe and I think my husband will like it too. Don't worry about the Obama comment. I knew what you were trying to convoy. I was just surprised that you used Obama as a comparison. No worries. I've seen a similar recipe on spoonfullofsugarfree.. She used prunes for the sweetness. I suppose that over ripe bananas might work just as well to cut back the sugar. Choco banana pudding? Yesplease. Just a thought, if anyone else out there is trying to cut back on sugar. No idea how it might effect Points values.. Perhaps someone will be kind enough to calculate and post. I really like this quote....'Many people don't know this, but you can read something you disagree with on the internet and just move on with your life'. Let me lighten things up for a minute. How do you keep those darn chia seeds from getting all over the refrigerator? Ha! Recipe sounds easy, healthy and delicious. For the record I am a huge fan of President Obama and maybe you are too. Amanda love that quote wish more people would follow it. Making this for my snack tomorrow. Will also try the banana idea for sweetener. Thanks Lisa for the great site. Love Chia seeds. My mom always added Chia to our drinks. I will definitely be trying this recipe. I put chia seeds in my morning coffee with coconut oil, a banana, peanut butter, cocoa powder and blend it with lots of ice in the Vitamix. A yummy smoothy breakfast. As of this morning I have dropped 34 lbs so I think I'm on the right track with this and other dietary changes as well as walking 100,000 steps a week. James Cameron that sounds really good. I will have to try that and congraluations on the weight loss. I found Chia seeds at Market Basket for $3.99/bag. I use chia for pudding, as an after cooking additive for oatmeal, in my trail mix and as an egg substitute in baking. Love this amazing food with the funny name! Chia Pet anyone? @Amanda-! On point. I love Snack Girl, I never post but this is cray. I see the tongue in cheek, it's a chia paragraph, come on! 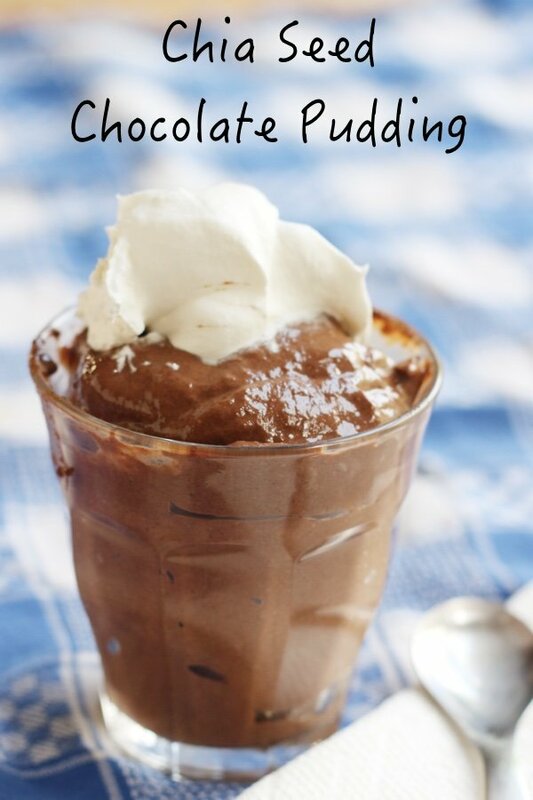 Since I did post, curious about the boxed pudding...? When I make this it makes a far nicer pudding if you use already ground chia seeds.